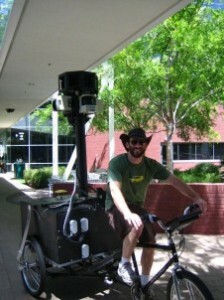 A pedicab-like trike, mounted with an 8-foot-high camera has been rolling around the pedestrian walkways of the SDSU to collect panoramic images of the campus for Google Maps’ Street View feature, which gives users detailed, street-level views of map locations over the Internet. The 250-pound vehicle, which resembles the pedicabs that carry tourists around Philadelphia and other cities, has the cyclist pumping the pedals up front, with the camera mounted on a tower in the back. On the rear is a red generator along with a large white chest that looks like it might dispense ice cream but actually contains the computer recording the digital images. The indexation time on Google and Yahoo was less than 24 hours. Microsoft (‘Bing’) has not gotten it (right) yet. 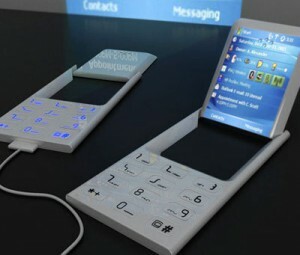 What will ipods look like in the future? Category: Search | Comments Off on What will ipods look like in the future?